(HealthDay)—For patients with traumatic out-of-hospital cardiac arrest (OHCA), pre-hospital advanced life support (ALS) provided by a physician is associated with increased likelihood of one-month survival, according to a study published online April 25 in JAMA Surgery. Tatsuma Fukuda, M.D., Ph.D., from the University of the Ryukyus in Okinawa, Japan, and colleagues examined data for patients who experienced traumatic OHCA after a traffic collision. 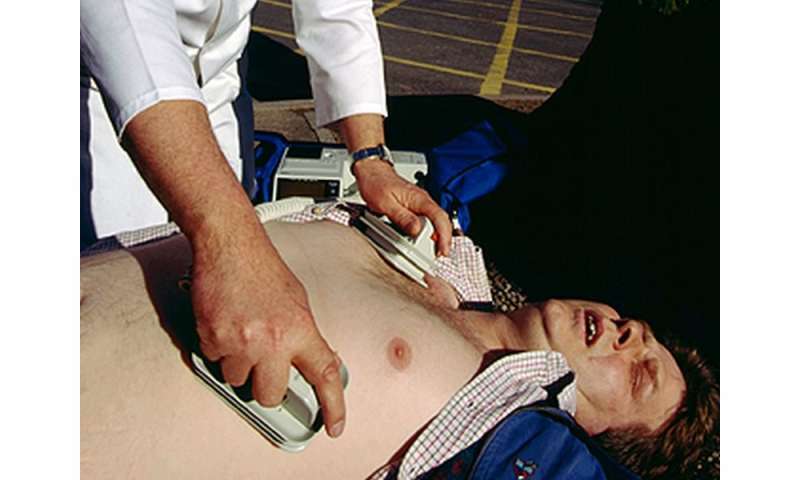 Outcomes were compared for individuals provided pre-hospital ALS by a physician (828 patients), individuals provided ALS by emergency medical service (EMS) personnel (1,591 patients), and those with only basic life support (BLS; 1,963 patients). The researchers found that 2.2 percent of patients survived one month after OHCA, including 3.1, 1.6, and 2.3 percent, respectively, of those who received ALS by physician, ALS by EMS personnel, and BLS. ALS by physician was associated with significantly higher odds of one-month survival compared with ALS by EMS personnel and BLS, after adjustment for potential confounders (adjusted odds ratios, 2.13 and 1.94, respectively); there was no significant difference between ALS by EMS personnel and BLS. Compared with ALS by EMS personnel, ALS by a physician was associated with increased chance of one-month survival in a propensity score-matched analysis (risk ratio, 2). "In traumatic OHCA, ALS by physician was associated with increased chance of one-month survival compared with both ALS by EMS personnel and BLS," the authors write.